Craft lagers are here in a big way, and I could not be more on board. My fellow drinkers looking to explore the non-ale side of the beer spectrum would be smart to start with a well-constructed helles, like this one from The St. Louis Brewery (which brews under the brand Schlafly). And if you’re already a member of Team Pilsner, an ever-so-slightly maltier Helles can provide a subtle change of pace. I say a tasty Helles is a great place to start because as a style, it’s less open to interpretation than a pilsner. You could pick a can of “pilsner” from a liquor store fridge and not be totally certain what’s inside: German pilsner? Czech pilsner? American pilsner? Help? Where the Schafly version succeeds is in allowing the crackery and Cheerio-like malt to supply most of the flavor without too heavy a body or too much sweetness that could impede its easy-drinking nature. It’s a neutral, even-keeled sip, with just enough quiet, earthy hop bitterness (from a German variety called Mittelfrüh, for the curious) to end the swallow. Everything about this beer is so compact; there’s complexity, but nothing’s out of place—like a well-organized garage. 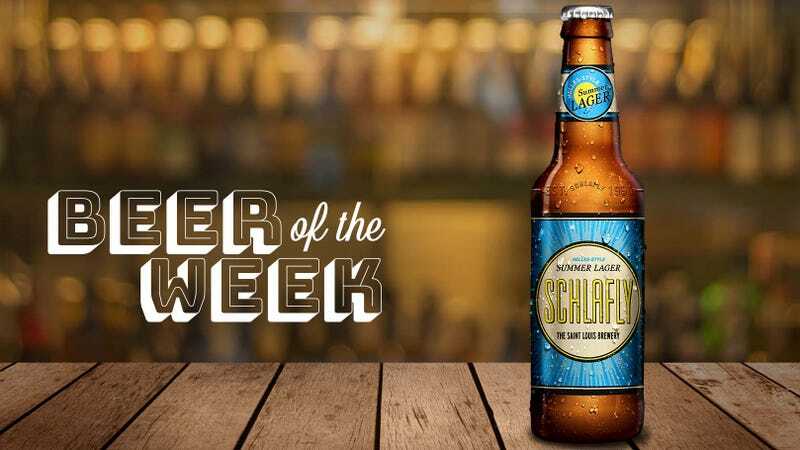 Summer Lager will be available through August or September across Schlafly’s full distribution footprint. Find it near you here. Ask Kate About Beer: What beer can I drink if can&apos;t stomach hops?